Annie Pootoogook came from a long line of artists in Cape Dorset, Canada (known today as Kinngait) and began drawing in 1997. Within a decade, she became the catalyst for an explosion of creativity originating from the Kinngait Studios. Her drawings challenged conventional expectation of Inuit graphic art. 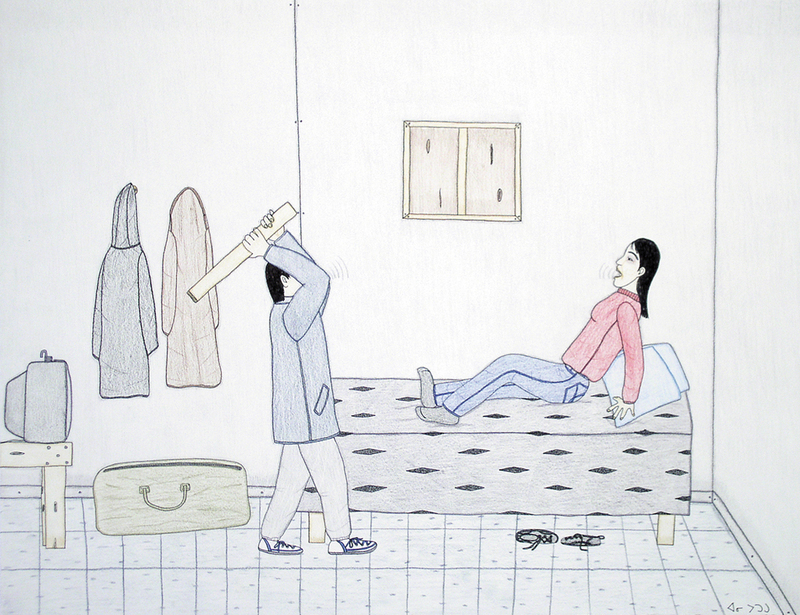 An instinctive chronicler of her generation, Pootoogook created works peppered with images of daily life: from feasting, camping and hunting to current events seen on television, intimate personal eroticism, as well as alcoholism and domestic violence. Her realism was at odds with the outdoor scenes traditionally associated with Inuit art. This exhibition, curated by Dr Nancy Campbell, is presented as part of the Liverpool Biennial touring programme, which brings artworks by international artists presented at the 2018 festival of contemporary art to spaces across the North of England.